This only got released on Friday so my review is based off of 10 or so listens since I bought it Friday night, but I love it! Love the really island-reggae sort of feel to it and the inclusions of Tyga and Chris Brown aren't too bad (even though she outlasts and outshines them both). The chorus is one of the catchiest things I've heard so far this year too. I would say this will most likely overtake F**k With You soon as my favourite of hers and I'm really happy to see this getting some top 100 action on iTunes. I hope it can continue to rise and become a hit here, because it does sound like it has potential to do just that. Facile mais tubesque et addictif. Ça sent bon l'été. That is a very good chorus; after a lackluster opening I actually ended up kind of enjoying this. Chris Brown seemed less awful than usual too, but I'm not sure the track needed either him or crusty Tyga, let alone both, but at least they don't stink things up too much. I didn't think I'd care for this at all, so I'm impressed. Not bad at all. The main artist who I haven't heard off sounds like a non-annoying clone of Ariana Grande and the song is energetic. Chris Brown's part isn't bad as well and in fact I think it compliments the song as well. However, I don't see why Tyga is even in this song and would've liked him out. Nope I don't like this. Her name is dreadful and her vocals sometimes remind me of Ciara who I despise tbh. Then you add 2 rappers and boom you get typical rubbish which would be better off recycled. <br><br>Tennis: Didn't think it was her actual name, it's seemed so fake. :P<br>Also, I have come to despise this now. 2 > 1. Hmm. It is selling so well on iTunes, and I haven't heard it until now.<br><br>It's okay, I guess, but I'd prefer it if Chris Brown and Tyga weren't there. 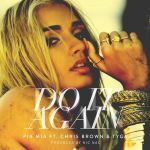 ▒ Tegenvallend plaatje uit april 2015 van: "Pia Mia, Chris Brown & Tyga" !!! Ook ik kan er net géén voldoende voor geven ☺!!! Cooler Song mit Unterstützung von Chris Brown und Tyga! Wo ist die Mülltone wenn man sie braucht. Denn dahinein gehört Tyga. Schon allein dieses "Yeah" am Anfang und dem sein dummes Galaber geht mir gleich auf den Sack! Die Tussi reisst auch kaum was...wirklich was für die Mülltonne! I suppose this is a fair listen but it leaves me with an uneasy feeling nearly each time, as it ventures too close to sleezy territory. Das Orginal stammt von einem Reggae Sänger namens J-Bloog und ist schon mindestens 6 Jahre alt <br><br>Hab den Titel hier aber auch erst vor einer Woche gehört, bzw. das Musikvideo im TV gesehen ( mal wieder auf einem SAT-Sender vom Balkan)<br><br>Die Sängerin und der Titel hat mir sofort gefallen, neben BeBe Rexha meine neue Lieblingssängerin und schöne Sommerhits.. <br><br>Werd nun mal ihre älteren Sachen hören, auf Youtube hat sich einen Channel schon seit sie 13 war und stammt von der Pazifikinsel Guam.<br><br>Dort findet gerade am kommenden Wochenende (29.05.2016) ein jährliches Musikfestival statt, u.a. mit Pia Mia ... Mal eben nen Flug buchen ..
Dit had weleens een top 10-hit kunnen worden in Nederland! Erg lekker, zomers nummer! Sehr leichte Kost für zwischendurch. Not a good song. Tyga is the actual worst. Much prefer the J Bog original version.